Turn your pc into TV with 5000+ channels! Home » Interesting Stuffz » Turn your pc into TV with 5000+ channels! Interesting. Indeed. This is something you might want to get it. Just get to know from the internet [News1 | News2] that China has actually come out something like a normal USB thumbdrive but the functionality behind it, priceless. 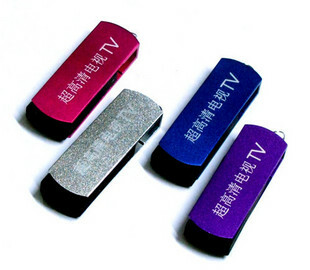 What does this thumb drive do is, once plugged in, it will help to scan every internet channel online (up to 5000+ channel) and you can watch it for FREE! This includes all those adult movie channels as well. Hmm.. speaking about free entertainment without boundaries. Anyhow, according to the news, the unit itself is very cheap ranging from price 30 to 180 yuan (RM14 – RM84) and for the “Special” version (which includes the explicit and highly adult rated contents) would cost somewhere around 200 yuan (i.e. RM93). Seems like it is selling like hot cakes in China now and even the biggest China online store, Taobao is selling it. You can try searching for it in there. And seem like they are going with quite a massive marketing on this illegal device as well. Anyhow, I wonder would it be legal or illegal to be used in Malaysia. If such thumbdrive exists in our market, i guess most of our countries satellite/cable TV providers will definitely lose a lot of business. But then again, i bet those local daring lawbreaking pirates already have their hands on this baby and you wont be surprised to see them in the market anytime soon. Ok, legality asides, this is quite a cool gadget which i guess everyone would like to have one. What do you think?